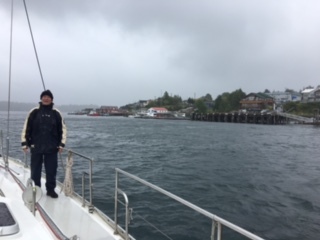 Anchored outside Tofino under lousy weather. Rain & cold. Heating is on for the first time.